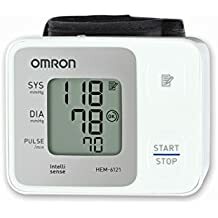 Buy Omron HEM 7120 Fully Automatic Digital Blood Pressure Monitor With Intellisense Technology For Most Accurate Measurement At Rs 1545 Lowest Price Online India From Amazon & Flipkart. Get the price comparison From Two Big Names For Online Shopping. 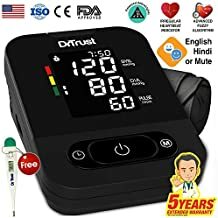 Get 33% Off On This Blood Pressure Monitors (Arm Monitors). The device uses its advanced “IntelliSense” technology for comfortable controlled inflation without the need of pressure pre-setting or re-inflation, even a slight pressure change can be detected, resulting most accurate measurement. Along with Blood Pressure Monitoring this product detects irregular heartbeat. It is loaded with Body Movement indicator and Hypertension indicator which helps you keep even better watch on your cardiovascular health. OMRON HEM-7120 comes with 5 Years Warranty and lifetime support provided by Omron. This Digital Blood Pressure Monitor is guaranteed to meet your standards. This product is mainly designed for general household use. Please read the Important Safety Information in the instruction manual before using the unit.